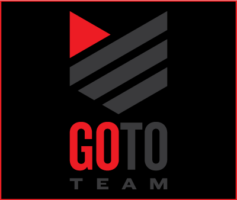 Go To Team, a video production company needs an awesome Production Coordinator. Please help us out. We’re growing and need another great person who wants to grow with us. We need another coordinator to help with all aspects of booking video shoots that involve working with Major Network Sports, Network News, Broadcast and Digital clients throughout the country and we’re looking for someone that we like working with. Do you like Barstool? Did you watch the Super Bowl? Do you watch HGTV’s hit “Fixer Upper”? Does New York Fashion Week sound fun? Do you want to work on coordinating fun shoots like these and live in Charleston, SC at the same time? That’s what we do. Attitude, Attitude, Attitude. It starts with Attitude. If you have the right hard working, team player attitude, we want you. We can train you to learn the rest. To start, we need someone willing to show up at the same time every day, working 9 am to 6 pm. You’ll identify new clients while leveraging existing clients to build on success. The big thing is, we need someone willing to show up at the same time every day to help book shoots and WIN with us. If you understand crew positions for video shoots, video production gear and aren’t just an order taker then this is probably your position. We need someone with a great attitude. This is a logistics and operations position in need of a personality that clients want to work with. The Production Coordinator will support the Managing Partner, Operations Manager, Production Manager and Production Staff in all aspects of video production and office management. Maintain strong communication with crew members, clients, and production staff. Following-up with crew on invoices and accurately entering invoices into Quick Books. Assist in marketing the company through various social media, giveaways, mailers, and promotions. Produce shipping labels and assorted labels for specific projects. Communicates in-person, by telephone, email and written correspondence. Gives a damn – going deep with clients and associates to push for bigger and better ideas.